The hilarious online misadventuring of a teenage girl, as told through her blog. Serafina doesn't have a boyfriend, doesn't have a best friend, and her parents fight all the time. But she does have a shiny new laptop (a present from her guilt-ridden and therefore overly-generous dad). 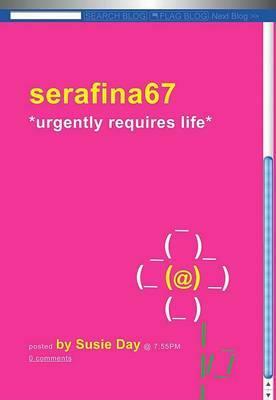 And with the shiny new laptop, comes a shiny new identity: serafina67, blogging (and kissing) addict. But in a year when the secrets turn serious, and friends and parents might not be what they seem, is spilling your whole life on the Internet such a bright idea? It might just lead to tears, trouble, hilarious online adventures and a fresh new take on writing - a novel told as a blog.